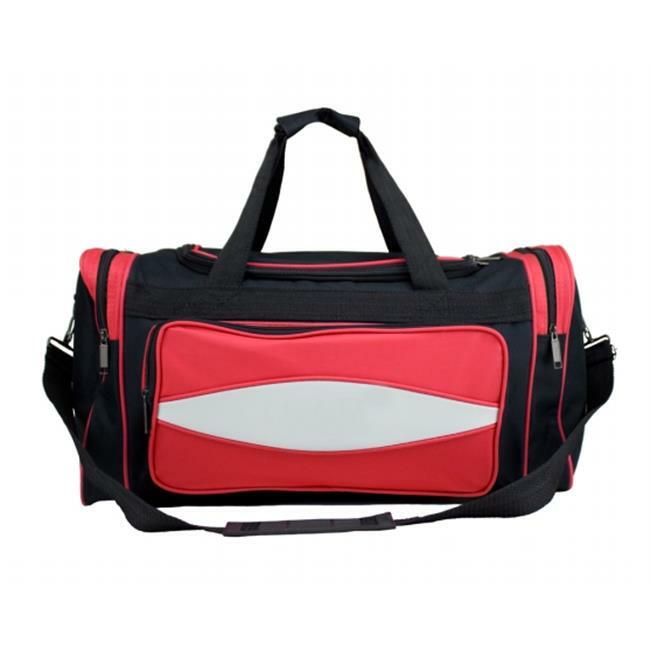 Affordable and Tuff Cloth durable, our multi-purpose duffel makes a great team bag. And, conveniently sized for a weekend trip, it's ideal for travelers and hikers as well. Oxford-woven 600D threads on the outside, wear and tear and wetness-resistant heavy vinyl on the inside, this duffel was built to last through all kinds of conditions. Low on room? The spacious interior pocket is just 16 in. long but packs over 1,700 cubic in. of capacity. But, fill the dual side pockets and front panel, Included with the duffel is a removable and fully adjustable shoulder strap and comfort pad. For extra convenience, the side pockets are fitted with metal loops that allow the duffel to be hung vertically in narrow spaces.